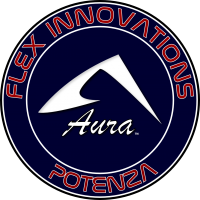 This Wiki site is designed to offer the latest news, updates, and guides for all of the Flex Innovations products! All Flex Innovations products are Designed, Tested, and Supported in the USA. Use the links below for more information about us and our products. As our products grow, we will keep this site up-to-date to keep you flying and loving our hobby! What is the Aura AFCS? Specifically designed for fixed-wing aircraft, we developed the Aura Advanced Flight Control System (AFCS) as a 3 axis gyro, servo hub, channel expander, and more all rolled into one device. What are Flex Innovations Super PNP Aircraft? Our proprietary Super PNP Aircraft are delivered only needing a receiver, a battery, and a quick assembly! Each aircraft comes with the motor, ESC, servos, and Aura installed and ready for flight. 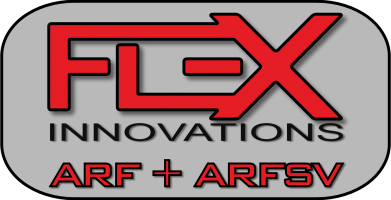 What are Flex Innovations ARF/ARFSV/Combo Aircraft? The ARF/ARFSV aircraft are expertly designed for the experienced pilot who wants quality and performance! We design our ARF/ARFSV kits to be the best aircraft at your field! Aura Config Tool v1.1.4.2 is now available via the Aura Config Tool. Aura Config Tool v1.1.4.1 is now available via the Aura Config Tool. Aura Config Tool v1.1.4.0 is now available via the Aura Config Tool. Aura Firmware v1.4 is released. Update Aura Firmware via the Aura Config Tool. Aura Config Tool v1.1.3.0 is now available via the Aura Config Tool. Aura Firmware v1.3 is released. Update Aura Firmware via the Aura Config Tool. Aura Config Tool v1.1.1.0 is now available via the Aura Config Tool. Aura Firmware v1.2 is released. Update Aura Firmware via the Aura Config Tool. Aura Config Tool v1.0.2 is now available via the Aura Config Tool. Aura Firmware v1.1 is released. Update Aura Firmware via the Aura Config Tool. Aura Config Tool v1.0.0 is now available via the Aura Config Tool. Aura Firmware v1.0 is released.